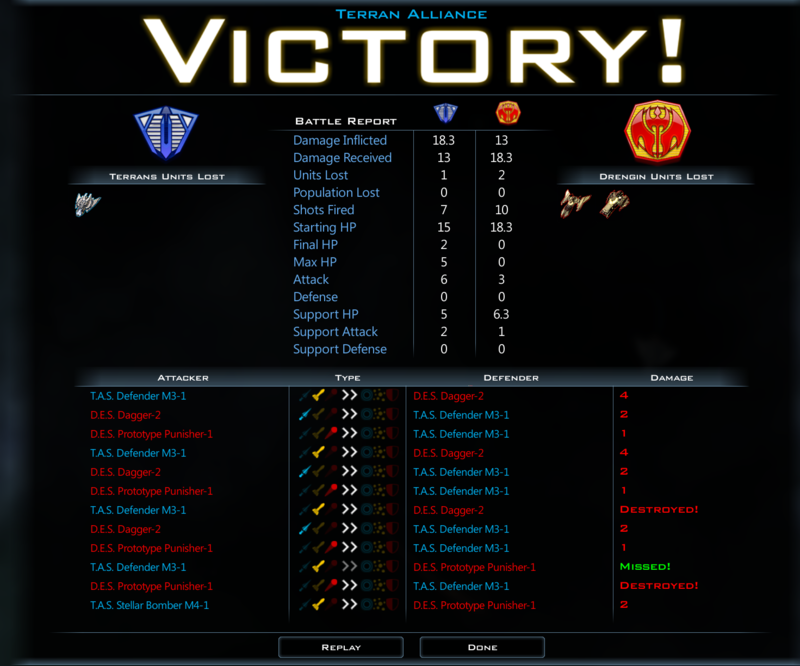 Every once in awhile, Do a 1 on 1 test on a relatively balanced map to see how well the AI is doing. 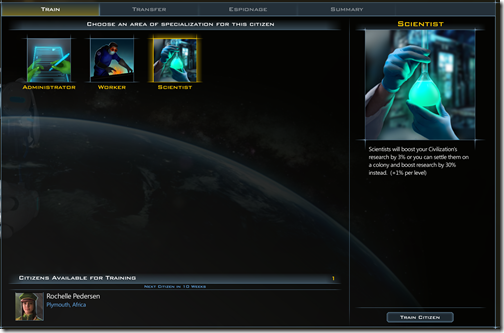 I play on Normal or Gifted as that puts the AI on roughly equal terms with me. 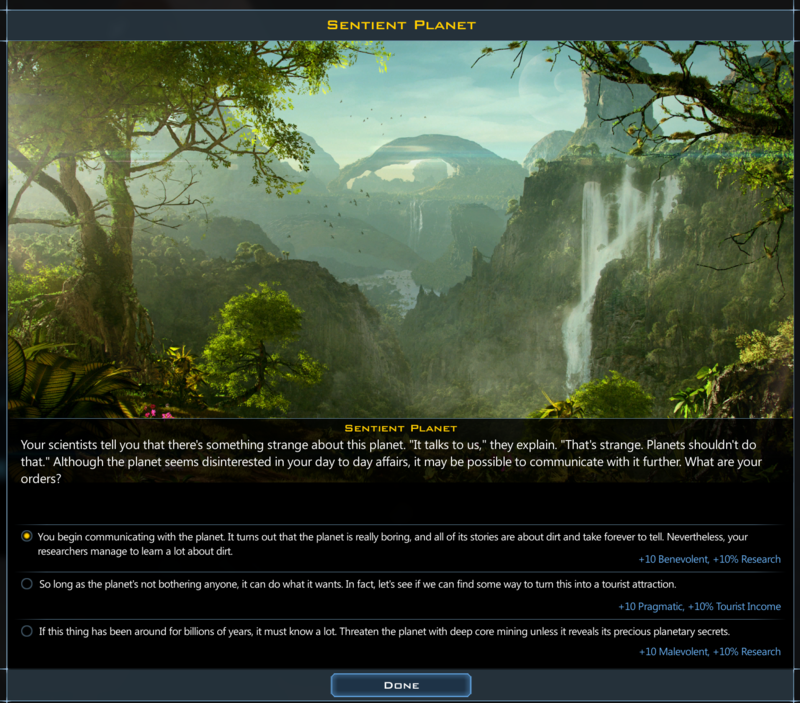 I choose the Drengin because they are a vicious, evil civilization that has few redeeming qualities and they play the game very differently than most people do (they are absolutely amoral). Their strategies aren't always ideal but they do tend to be interesting. 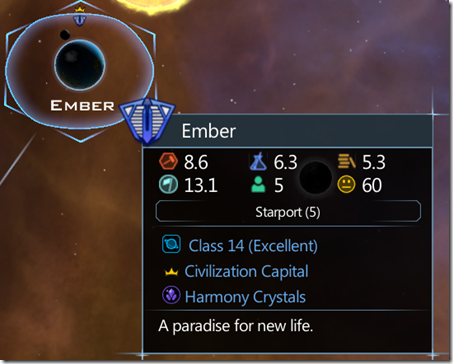 Both humans and Drengin start with a class 14 world (a very nice planet) as well as two habitable nearby worlds. 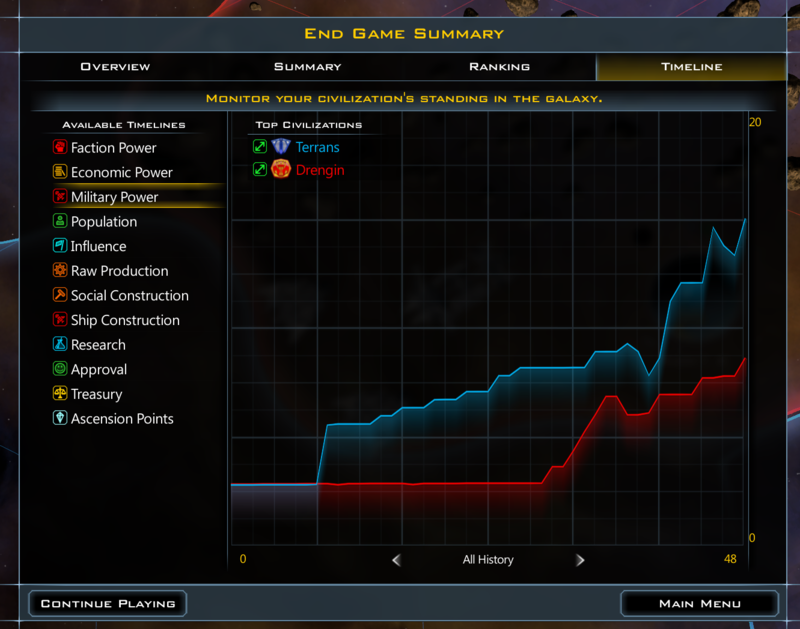 The base game really reward rapid expansion. I'm playing Crusade which rewards fewer, well developed worlds. This is hard on the AI because the AI is good at rapid expansion and less so at optimizing its worlds which is one reason I enjoy working on Crusade so much, I like hard AI tasks. I choose Artificial gravity first because it increases my moves by +1. 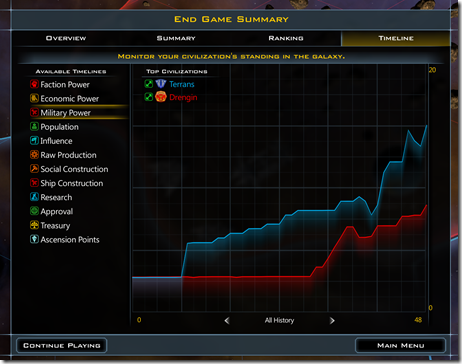 For my home planet, I rush build the Space Elevator, then the shipyard and then the Starport. A lot of people rush to the shipyard which I think can be a mistake. 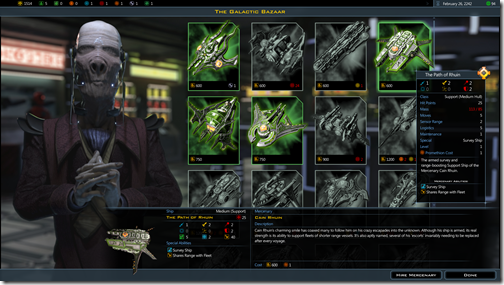 GalCiv games are somewhat different than most 4X games in that players start with a lot of "gold" in order to jump start their opening strategy. This is why you frequently see new players claim the game is cheating -- if you don't know you're supposed to rush build something at the start of the game, you'll fall behind. 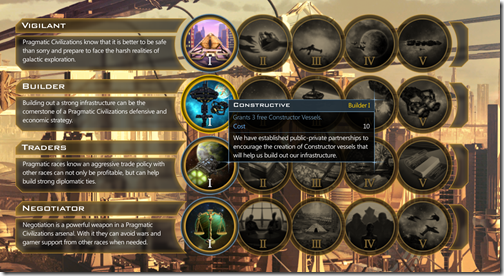 In my case, by rush building structures and waiting a turn for them to build, I greatly reduce the rush costs of subsequent things because they are already partially built. 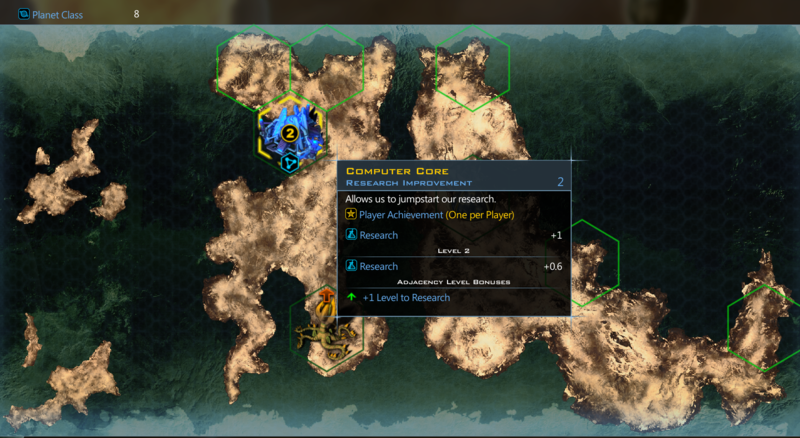 Level 2 computer core rush built gives me a huge research boon right away. This is on the planet Roscommon, my second planet. 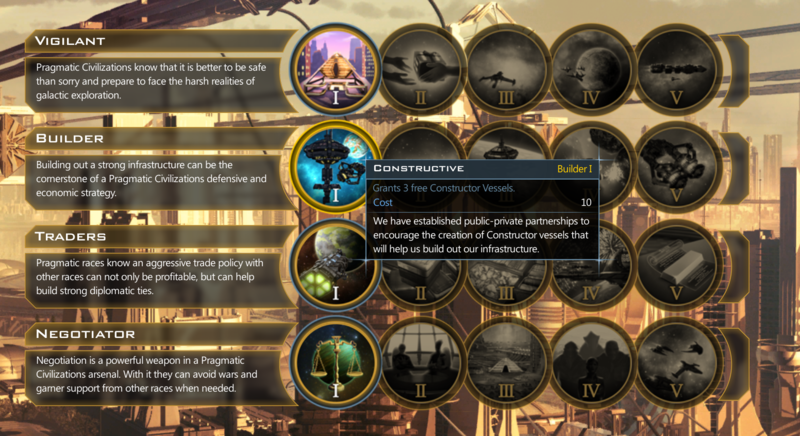 For my first ethical choice I went pragmatic and then made constructive my ideological choice which grants me 3 Constructor ships. Now you could argue this is pretty unfair to the AI. The AI is never going to have this specific of a strategy since it's not scripted but instead is reactive. But I am not here to play fair. I'm here to win. 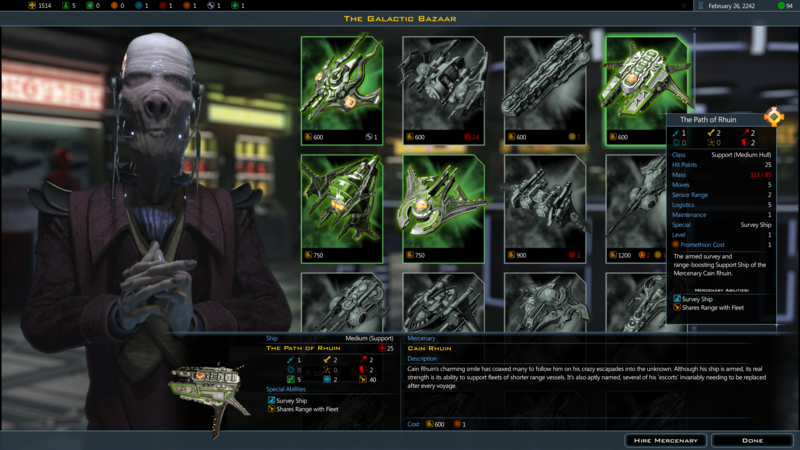 When I find the galactic Bazaar I immediately hire a Survey ship now that "The Anvil" is super expensive. This time, I choose a benevolent path for my moral quandary. 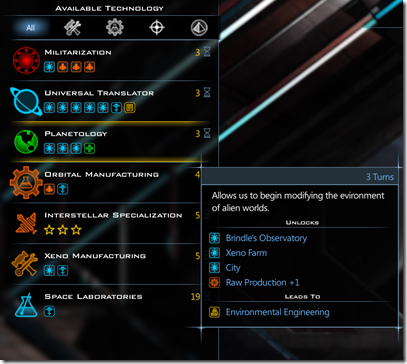 For my first citizen I choose a scientist rather than an Administrator. That is because I plan to win this quickly. 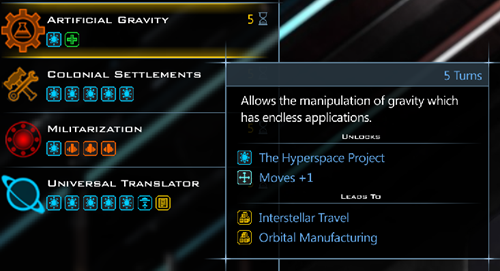 Now, I want Planetology because I want to get farms going. Now that population produces raw production at a 1 to 1 ratio, cities matter a lot and cities require food. Now it's time to b-line to Planetary Invasion to quickly end this. 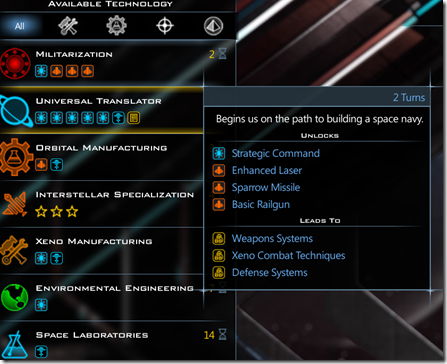 With my enlightened (benevolent) choices on colonizing, I gain an ideological point that I put into educated which gives me 150 research points which fast-tracks me to invasion. On turn 22, I have planetary invasion. Now to destroy the Drengin Empire. Step 1, bomber fleet with a scout to increase my sensor range. Step 2, built transport with "5 legions of my best troops!" Step 3, destroy unarmed orbital defenses. Now, the Drengin are quick to react. They build up a decent little defense. 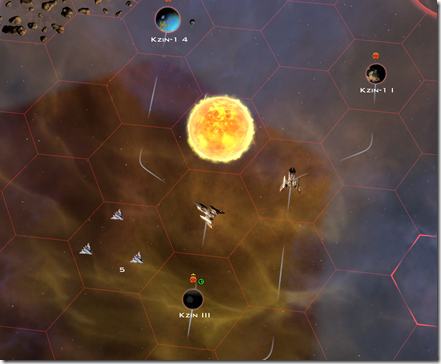 However, they spread themselves out by reinforcing individual planets (making it harder to invade). 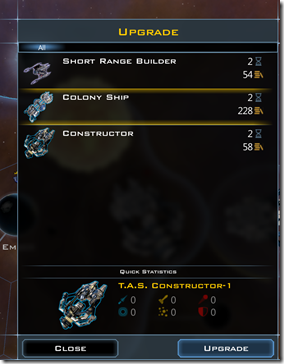 One might argue they should have created a single fleet to challenge mine. However, doing that would have made their planets even more open to invasion. They are hoping they have time to build up before invasion comes. But they're wrong, they are already out of time. Ok, this IS unexpected. 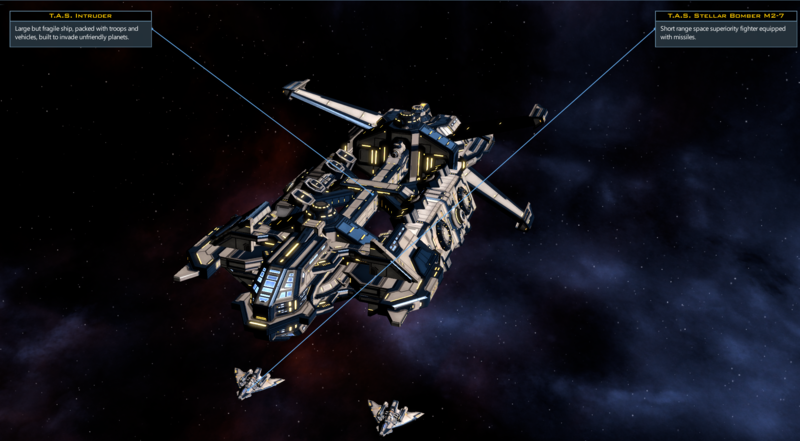 The Drengin form a fleet big enough to take out my transport. Sadly, they just don't quite have enough moves left to attack. Not taking any chances, I form up a bigger fleet and take their first planet. Any time you conquer a Drengin world you can pretty much assume there will be slaves. This planet has a lot of slaves. They're down to the last world. 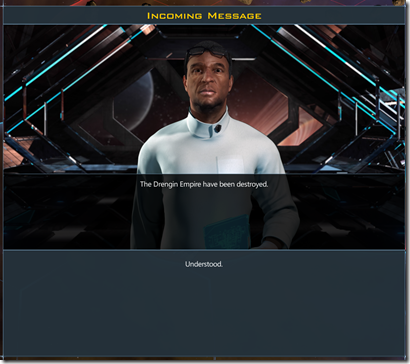 In the battle in orbit of their last world the Drengin have made some interesting strategic choices. 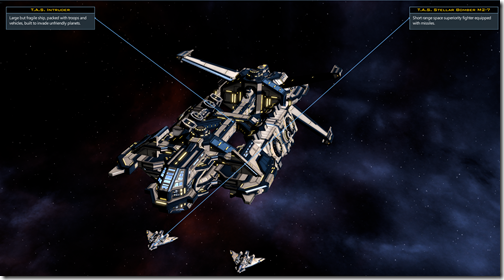 First, they researched Small Hulls. 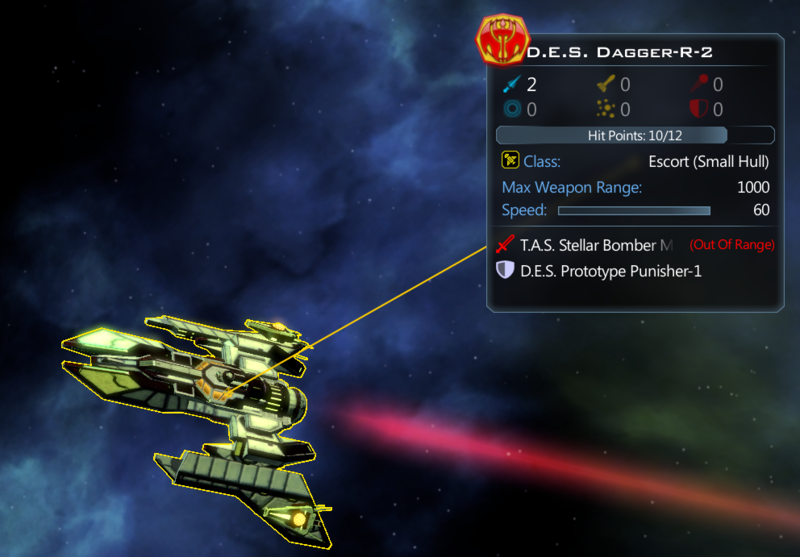 I just got that tech so none of my ships are as big as this ship. 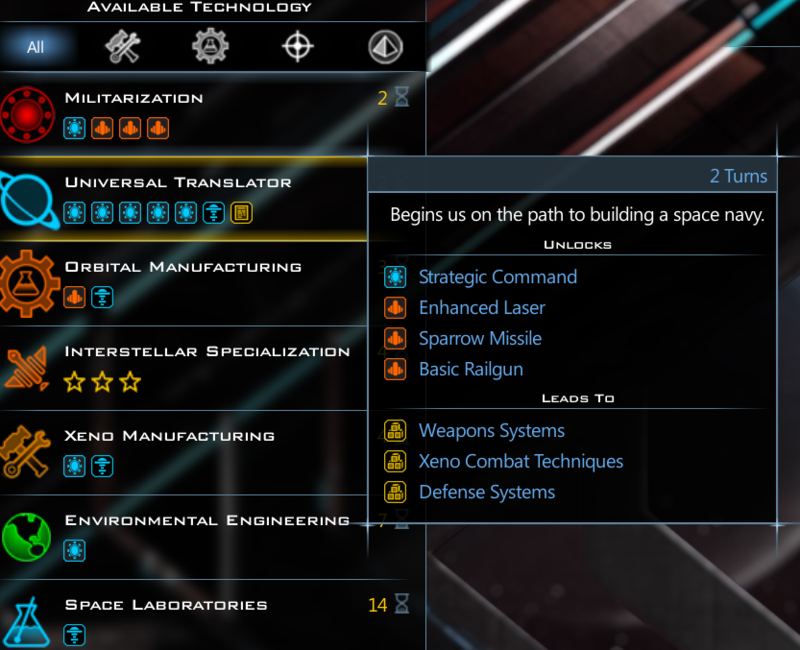 Second, he has a relatively advanced beam weapon which will out range anything I have since I'm using "space rockets" (because I rushed right towards conquest and put the base weapons on). Meanwhile, the other Drengin ship shot past my ships and attacked my lightly armored Transport. Destroying it. They're still doomed but it's not quite the walk over I had planned. Just means I will have to build another rush force. 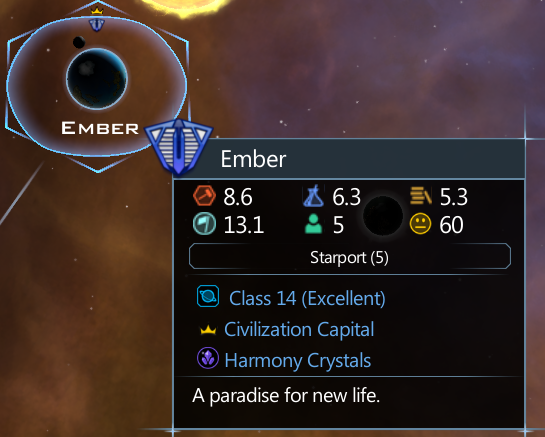 But I now have 8 planets to their 1. 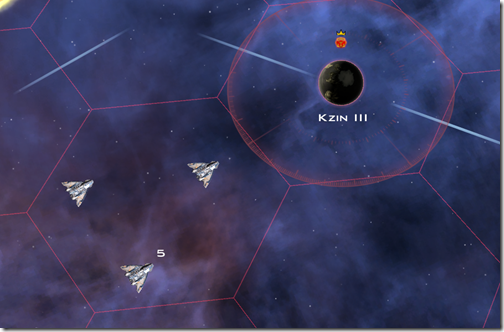 My next fleet takes out their defenses. And then the invasion begins. No. Of course not. 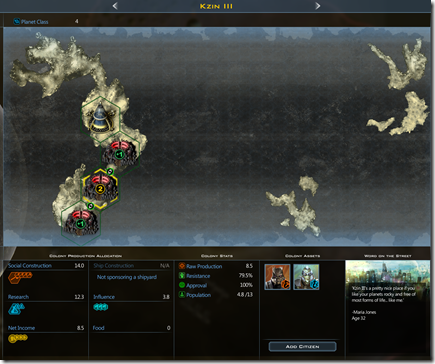 There was never any question of the AI being able to win. 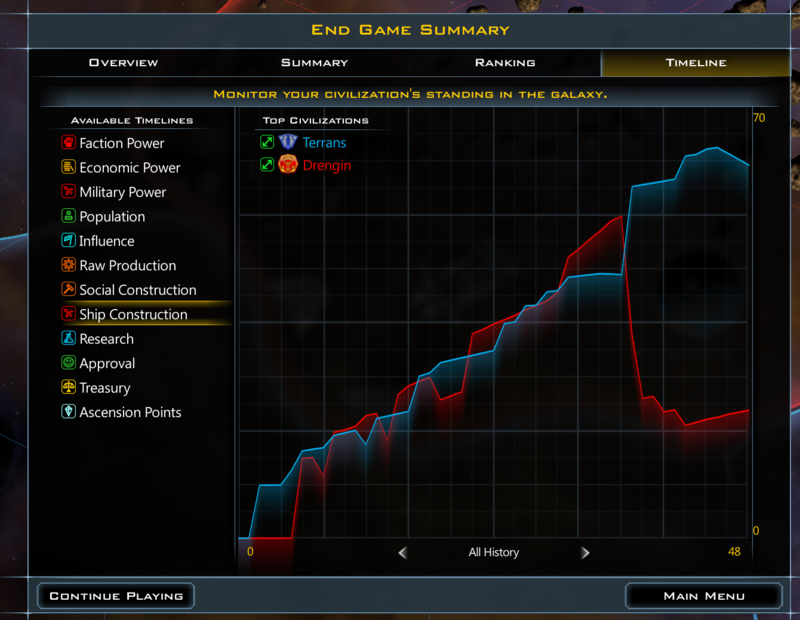 You take two humans, give them equal stuff and one sacrifices everything for a rush victory you will see that victory. The question is how well does the AI react? And in this case, quite well. They moved to a war footing quite fast. But as you can see, they weren't able to bridge the gap fast enough. 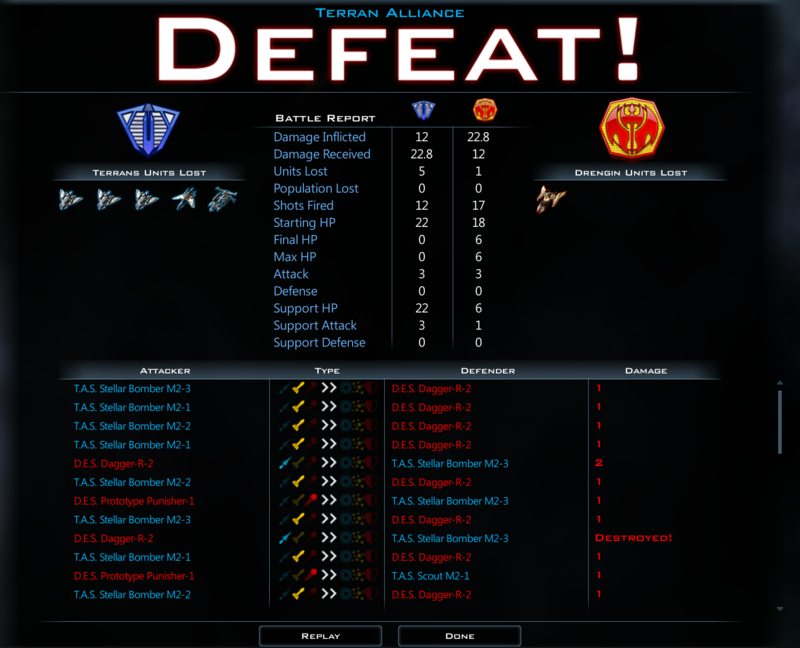 Other than knowing I was going for a rush attack, there's not much they could have done. 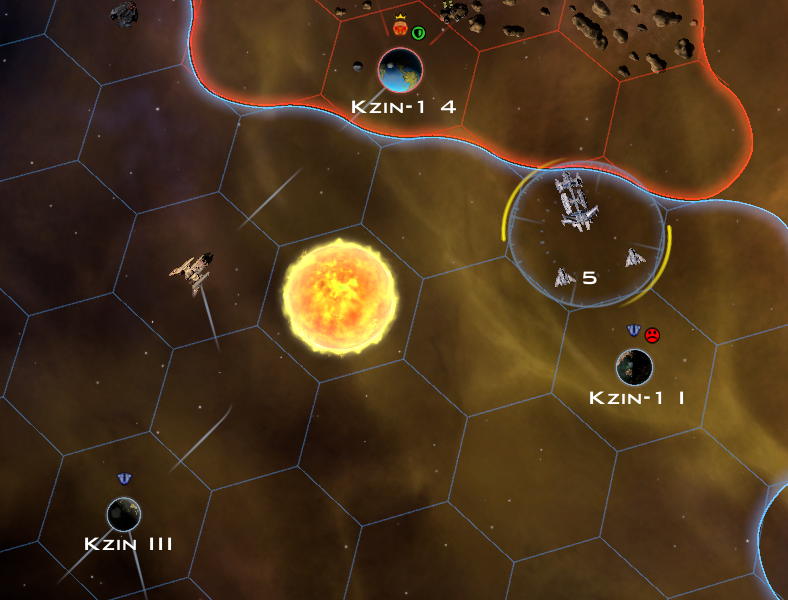 If they had met me a little sooner, they might have been able to tell that I was b-lining towards invasion tech (yes, the AI does analyze what you've researched and then categorizes possible strategies you might be using). But I was careful to stay away from them. Other than knowing I was going for a rush attack, there's not much they could have done. If they had met me a little sooner, they might have been able to tell that I was b-lining towards invasion tech [...]. But I was careful to stay away from them. Interesting Dilemma you are having there. This problem is actually similar to some situations in starcraft 2 ladder. In early-game sc2 you almost always operate on limited knowledge, but sometimes you run into someone who makes an effort not to let you know what he is doing. In those cases you have to operate on the knowledge of what your opponent is not doing and what options this precludes him from. For example if he does not expand (build a second base), he can't build a lot of high tech units in the near future for the lack of vespene gas. My point is, hiding has it's cost. At some point, the AI should start wondering about the things he has not seen and start prepare for the worst. 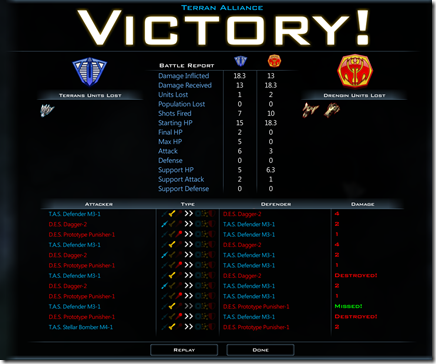 In sc2 the balance is finetuned for exactly such things. Hiding has its cost and opens up options for the searching player. A simple example of this is, that if you don't see an expansion from the enemy, that you can delay yours, too, since you don't need to fear facing a stronger economy. You can use your ressources to put down more defenses. If your enemy was actually rushing, you were prepared, since you had additional defenses. If he wasn't rushing and just expanded later, he played inefficiently. 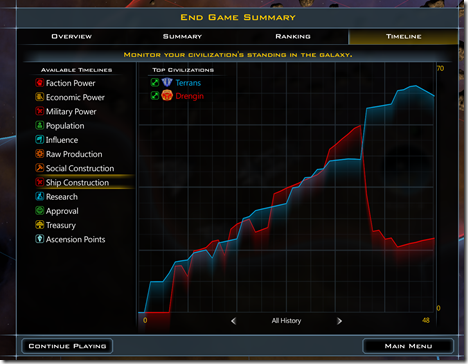 Since you played save, your economy is slightly slower, too, which is ok, since you are still on par with your opponent. Now - I can actually imagine people screaming at the screen already, that this is gc3 not sc2. 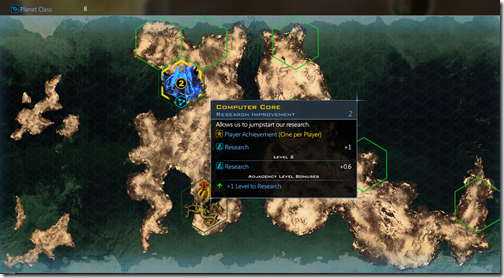 What I think the AI could do on small/tiny maps, is generally send it's survey vessel towards (somewhat map center) were an enemy is suspected to be and count anomlies there. 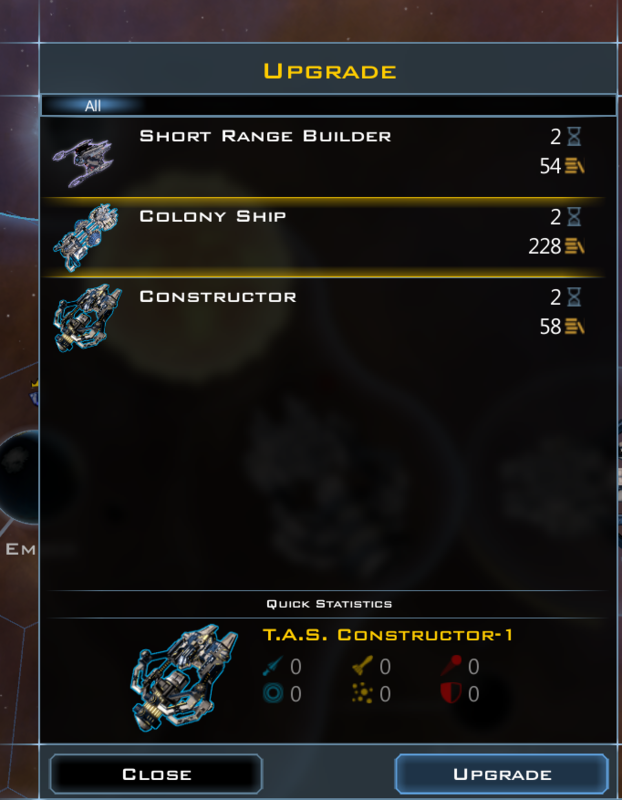 If anomalies are supiciously high, it can 1) start collecting all the free stuff, while 2) build another survey vessel to gather stuff in the region it is not scouting. That early in the game, the only thing I can think of, which might be worth hiding is preparing an attack. 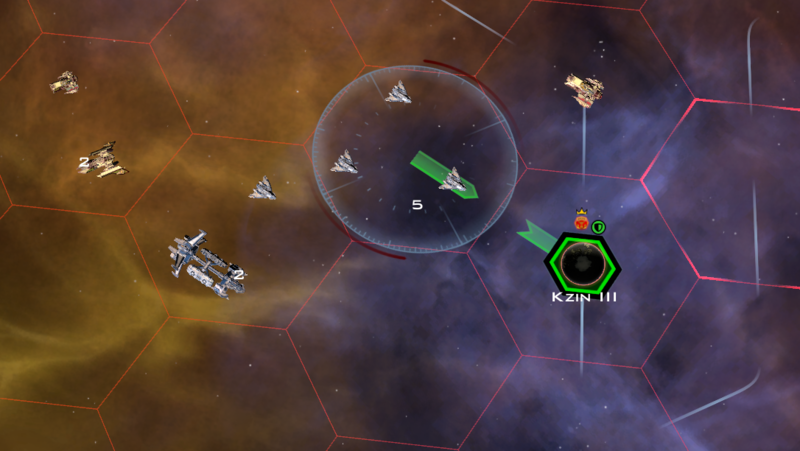 Thus, when the AI finds many anomalies in an direction it expects an enemy and not finds the enemy it can assume the enemy is preparing an attack. 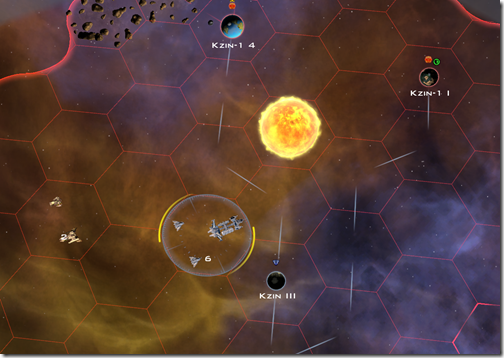 If the enemy wasn't trying to attack, the AI benefits form anomalies and can consider attacking itself. If the enemy was preparing an attack, the AI is prepared. 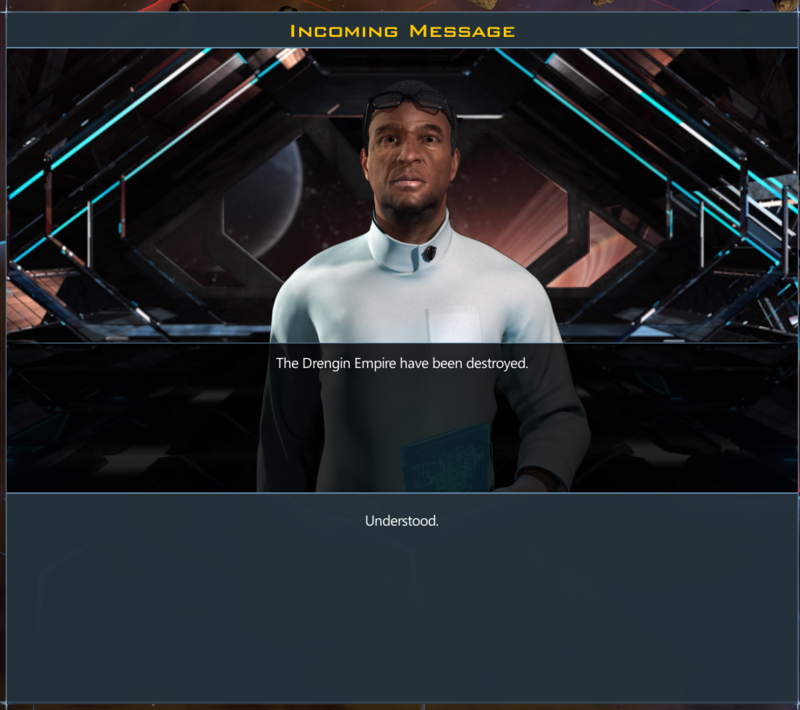 No the AI could not have known you were preparing an attack, but I think it might be able to narrow the possibilites of what you are doing down to playing inefficiently and preparing an attack. To this it can actually react. 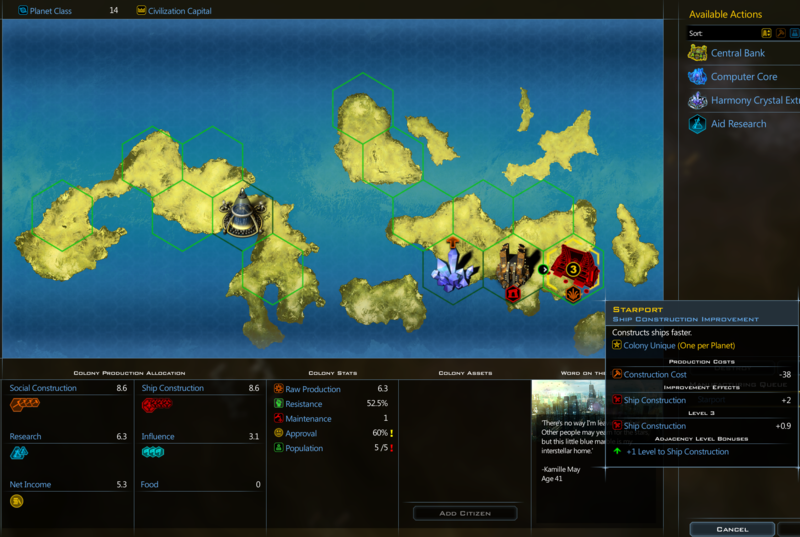 This is obviously exclusive to situations, were civs are in close proximity to each other. I'm not sure you are going to put effort into adapting the AI for this, but I still thought it worth mentioning this train of thought about playing around uncertainty. 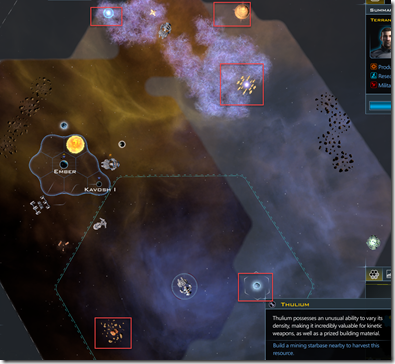 For advanced difficulty levels, it would be wonderful if you could teach the ai to rush planetary invasions. Thanks for sharing this. As I was reading the original post, I was also thinking about Starcraft II ladder games and how important it is to scout your opponent in a 1-on-1 match. I'm thinking that a rush strategy like this might cripple you in a game with more than 2 players. I guess it depends on how much you gain from the opponent that you rush and how quickly you can finish them off. I guess it depends on how much you gain from the opponent that you rush and how quickly you can finish them off. I think it was neilkaz, who once scored a 91 turn research victory back in vanilla on huge vs godlike, by being very aggressive about early invasions. 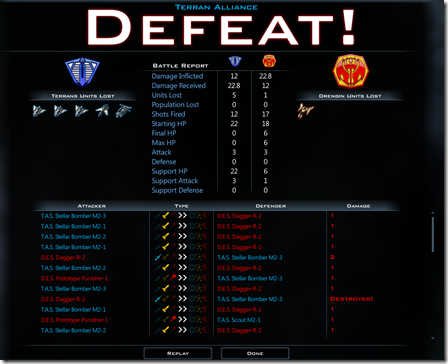 In sc2 free-for-all an early kill means you are behind in economy for some time to come, since you destroy enemy infrastructure. In GC3 you conquer it and put it to use very quickly (population may need to regenerate). Ok, so invasions at turn 22. What are your thoughts on the fact that the Drengen put BOTH of its citizens on that crap planet you conquered rather than the empire's real planet? As an aside, I've also been mildly intrigued by the star fury (for starting ships) start - just start with 2 of these and immediately go hunting. 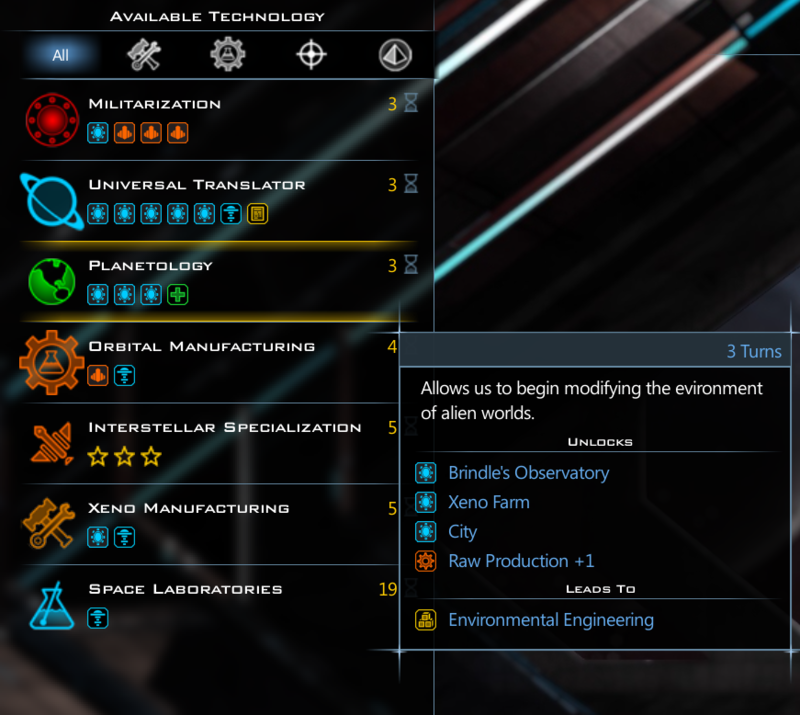 Combining this with the 'know alien homeworld' trait might be a really strong rush-strat..